Cosmetic surgery on teens or children is becoming more popular (in 2009 203,000 teens and in 2012 236,000 teens between the ages of 13 and 19 altered their physical appearance) but can be controversial. While adults have appearance altering surgery to stand out or look younger, teens do so to fit in and be more like their average peer. Not all teens with psychosocial anxiety about a body part have psychological issues, and they should not be dismissed by adults as being too immature to understand their own emotions or automatically be assumed to have primarily psychological problems. Botox on children were banned in Queensland, Australia. Doctors who perform such procedures without medical reason can face up to 2 years in prison. In New South Wales, Australia patients under 18 years of age who are considering cosmetic surgery have undergo a 3-month cooling-off period, followed by consultation with an internist and clinical psychologist before they can have surgery. There are no such regulations in the United States. The nose has usually completed 90 percent of its growth by the time girls reach the age of 14 or 15, and boys reach the age of 16. 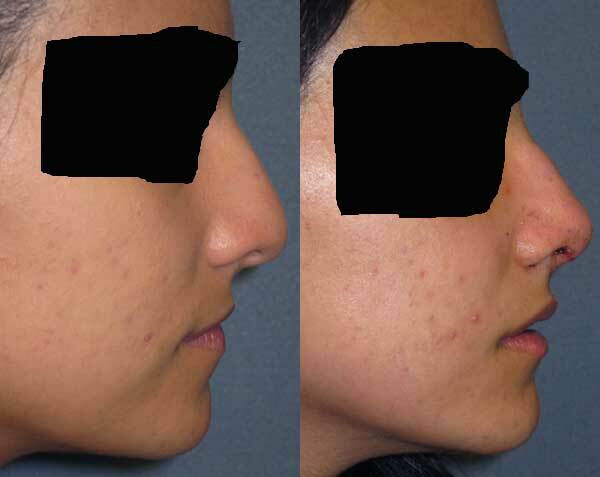 The general accepted rule is that girls can have rhinoplasty as soon as 15 years of age and boys by 16. It is important not to have the surgery too early because the nose grows faster than other portions of the face. If you have early surgery and the nose is made to match your existing face it will look inappropriate after the rest of your face continues to grow. If your nose is still growing the surgery can damage the growth center of the nose leaving you with a child size nose for the rest of your life. When in doubt a simple x-ray of the hand that shows closure of the bone growth centers in the hand bones will suffice. Teens heal more rapidly than adults, and their skin is more elastic so they get better results sooner than adults. If the teenager is not mature enough to follow instructions after surgery including activity restrictions, protection of the nasal skin from the sun etc. the results can be disastrous. Early return to the cheerleaders squad or sports team can cause irreparable damage. The teenagers motivations for surgery are important. Contraindications to surgery are teenagers who are reclusive due to perceived nasal imperfections, teenagers who want to look like a specific celebrity, teenagers who are pressured into having the surgery by their parents and teenagers who are vague about what they specifically want changed by surgery. I had a reclusive teenager come to my office for surgery whose social contacts were minimal and would only go out wearing wide brim hats etc. Referral to a psychologist colleague resulted in a diagnosis of body dysmorphic disorder and phone call to me warning me against performing the surgery. Parents need to be informed that in such cases surgery is not the answer and can aggravate the situation. If the motivating factor is looking like a specific celebrity to gain wealth, friends, influence, success, college acceptance etc. the teenager can become very unhappy after surgery when these expected benefits do not arrive. It is important that the teenager can voice specifically what they want changed so the surgery can be tailored to their needs and they can honestly assess the results of surgery. In the past many surgeons would do the same surgery on all comers and all of their patients’ noses looked the same after surgery. You would then choose the surgeon who had the end result you liked to be your surgeon. Currently the process has advanced so no 2 people get the exact same surgery or the same end result. To some degree you have choice such as a round or Romanesque tip etc. Teenagers of different races can choose to maintain some ethnic or familial traits after rhinoplasty surgery. For example you can remove a hump or straighten a nose without changing the shape of the tip of the nose. Adolescents and teens are under a lot of social pressure for social acceptance by their peers. A large, deviated or beaked nose can be a catalyst for ridicule or bullying especially in today’s online social networking world where one can comment without having to be physically face to face. Someone you don’t know can ridicule your looks on Facebook and then you wonder what your friends are thinking when they see it. These cases should be reviewed individually with your surgeon before surgery to discuss the possible merits of surgery. These teenagers can benefit tremendously from surgery but they need to be aware that surgery is not the sole answer to bullying. An immature individual who does not like you can just as easily find something else in your character or appearance to go after once they can no longer comment about the appearance of your nose. Be sure to fully inform your surgeon of this before surgery if you are being targeted by your peers. Teens under 18 years of age need parental consent for surgery and most teens will need to have their parents pay for surgery and take care of them after surgery. Therefore they have to be involved early on. Some parents may be reluctant to allow it for a variety of reasons such as they still consider the teenager to be a baby or they have seen too many cookie-cutter, overdone noses. In today’s world though it is increasingly common that the mother also had rhinoplasty surgery before the teenager was born or even before being married. I am aware of a case where the father refused to allow the daughter to have the surgery until he found out the mother had it years before he met the mother. It is in the teenager’s best interest to bring at least one parent to the initial consultation with the surgeon. Before getting a nose job, teens and their parents or guardians should talk extensively with the surgeon and weigh all of the risks and benefits. Honest communication between you, your parents, and the surgeon is very important to the success of the operation. Teenagers usually time their surgery for the beginning of summer vacation from school, Christmas vacation or winter and spring breaks to allow sufficient time for recovery, end of activity restrictions and resolution of swelling and bruising. Most can return to gym exercise in 3 to 4 weeks but should wait 2 months before returning to contact sports. Other popular times for surgery are between high school and college or before high school. In modern southern California the average teenager likely has several acquaintances who have had nasal surgery. As long as the motivators are appropriate and not just peer pressure this can be ideal for the teenage patient. Friends who know what you are going through and are supportive make recovery after surgery smoother and quicker. Recovery takes patience and support from family and friends. The Taiwan government banned nose jobs, breast implants and reductions, hair implants, liposuction, face lifts, eyelid reshaping, and orthognathic (corrective jaw) surgery, among others for patients under 18 years of age. The ban does not cover treatment for excessive body odor or scar removal, however, and exceptions are possible where there is a medical necessity such as orthognathic surgery in those with congenital deformities. Any doctor found breaking this rule risks losing his or her business/medical license or be ordered to suspend operations for up to one year, along with a fine of between NT$100,000 (US$3,290) and NT$500,000.